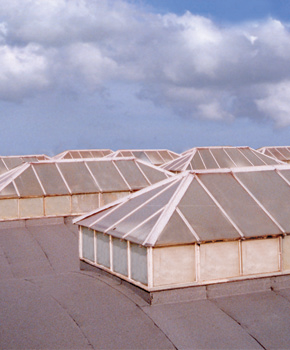 PROFILE Industrial Roofing Services are able to refurbish all forms of existing felt roofs. 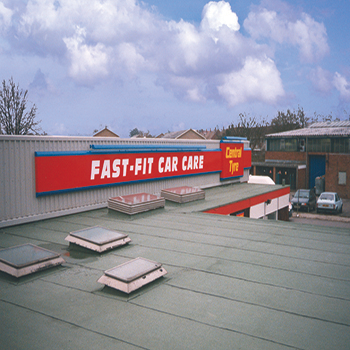 We are able to offer 2, 3 and 5 layer built-up felt roof systems. A flat roof can be changed to a pitched roof. For this conversion, a structure is built onto the existing roof that is assembled at roof level. The structure can be fitted to the existing roof with only a limited increase to the weight loadings on the existing building structure. 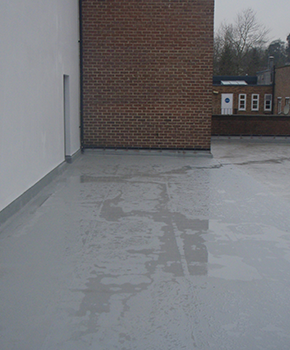 We can also offer waterproofing systems where felting is not a suitable option for a flat roof. Cold-applied roof coatings are particularly suitable for roofs that have a lot of equipment, such as air conditioning units, which makes felting more difficult. Liquid and rubber systems form a waterproof membrane, which offers a guarantee from the manufacturer. Our Surveyors will be able to discuss the different options available to you and which are the most suitable for your building.